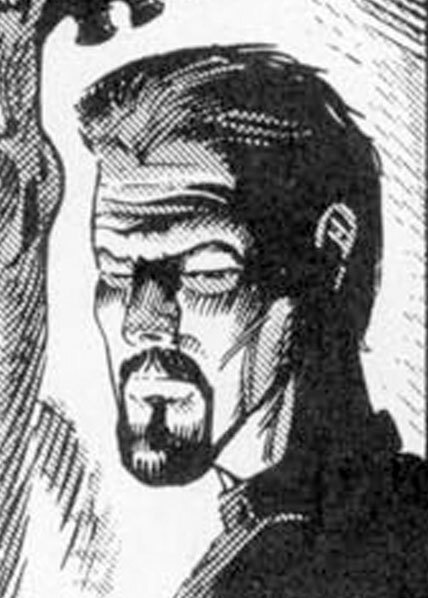 Salvaje is a man born into wealth who after becoming aware of the xenomorph's existence, becomes obsessed with it, seeing it as "The True Messiah." Spawning a cult following of loyal believers, they execute a plan to free a captured alien from a government facility. Their actions and obsessions cause the infestation that eventually overruns the earth. When playing a game with Salvaje, the character will make no attempt to attack or harm an alien. If the number of creatures on the board is less than 3, roll one die. on a roll of 8 or greater, he will actively attack other players as if he were an alien. If Salvaje becomes injured or incapacitated, reality sinks in and he will defend against and attack aliens to survive or escape.